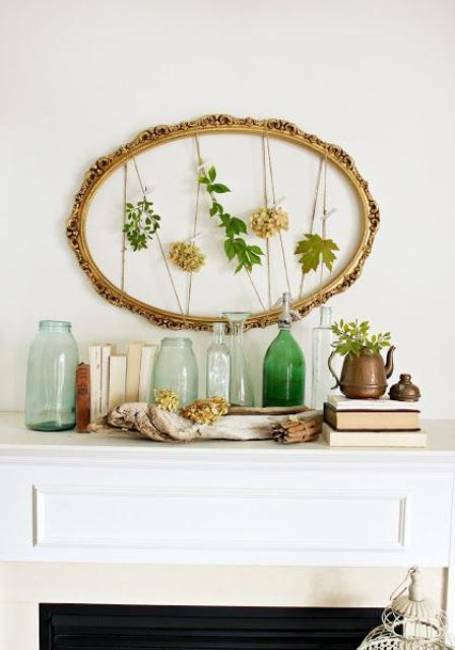 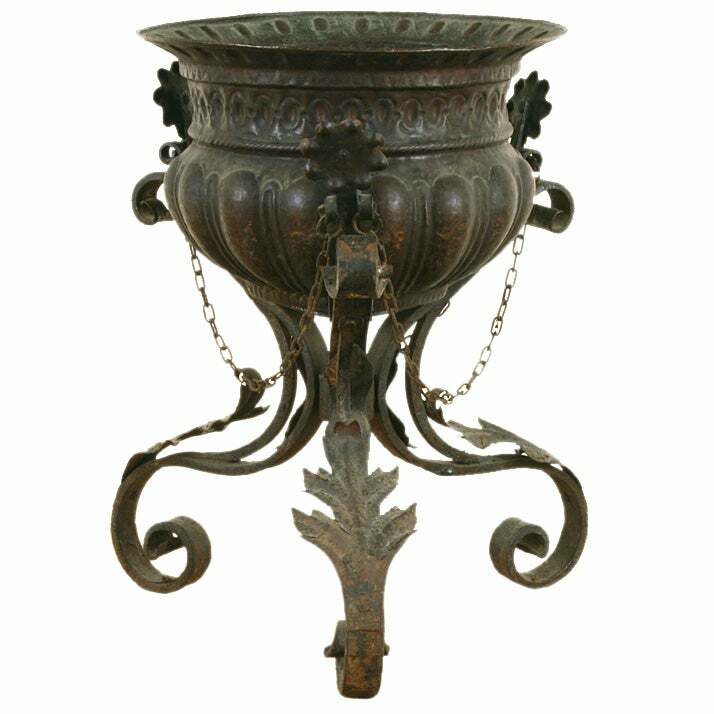 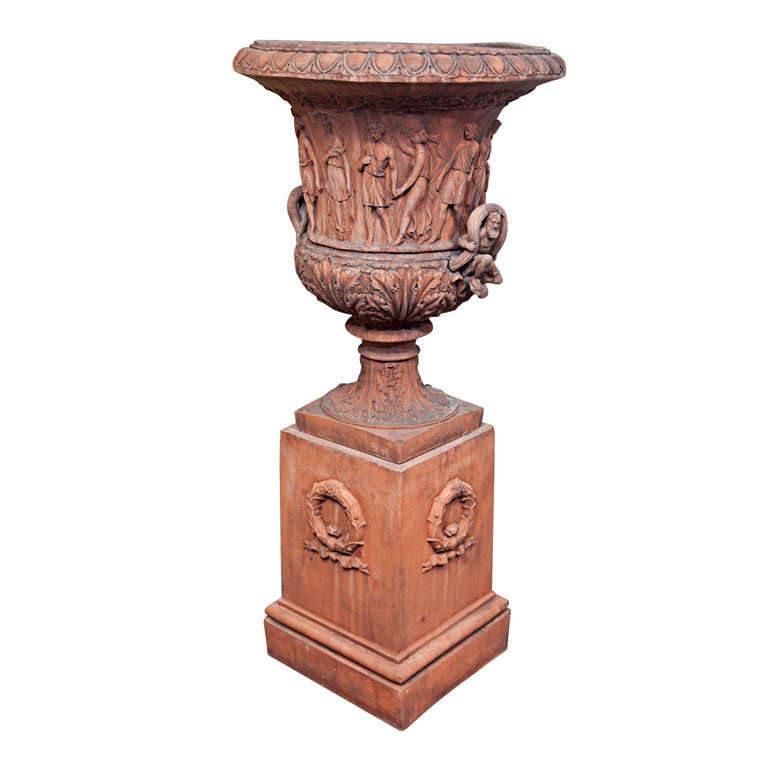 italian baroque style copper planter on wrought iron stand. 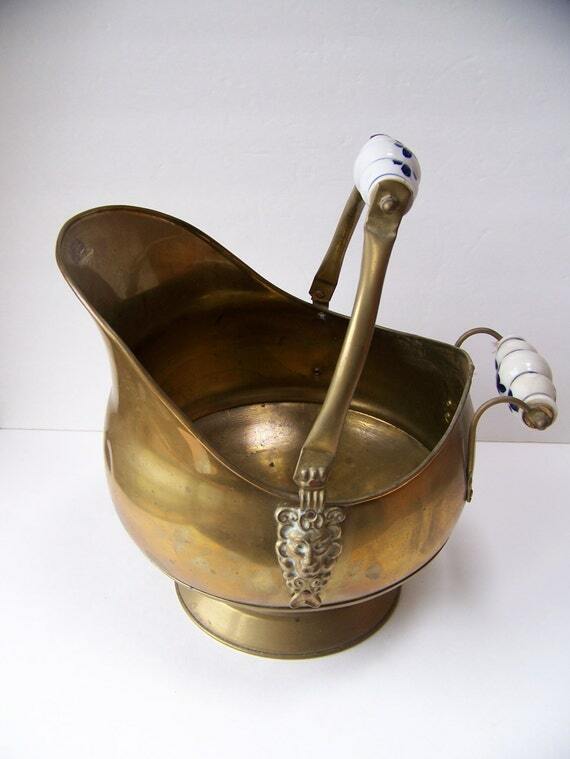 antique brass fireplace hearth bucket with handle delft blue. 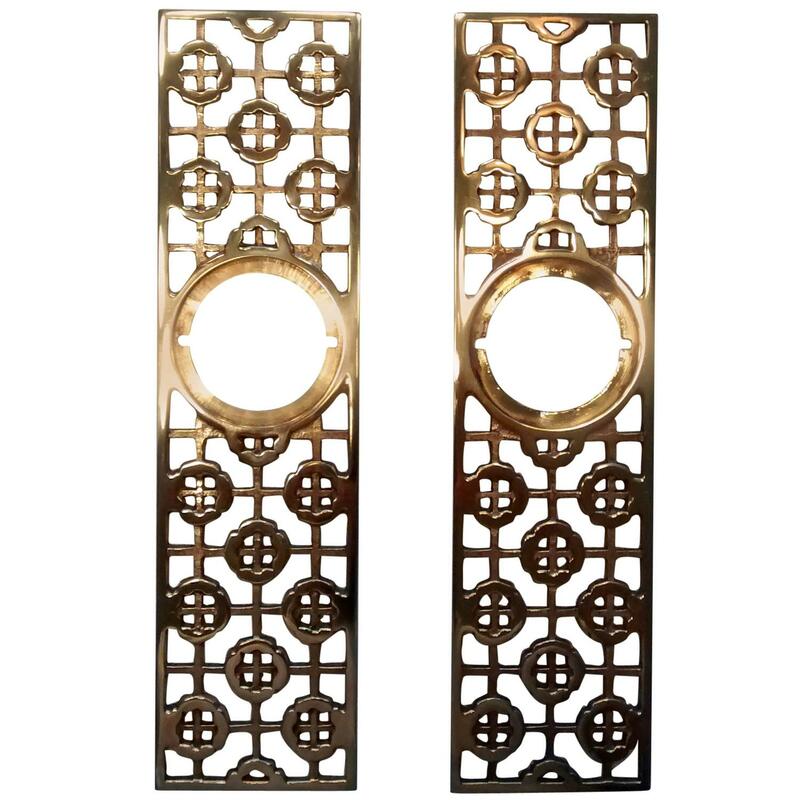 pair of asian motif mid century modern door hardware.